Dog lovers will enjoy wearing this Big Face t-shirt design by Vincent Hie featuring the face of a Weimaraner. 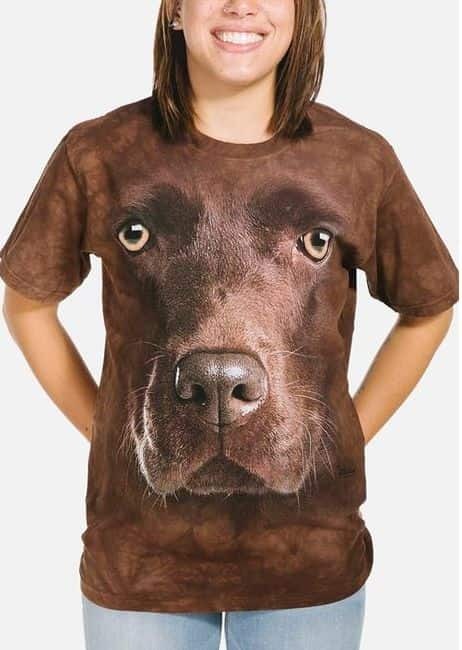 The dog's face covers most of the front of the shirt giving it a 3D appearance. Did you know? Early Weimaraners were used by royalty for hunting large game such as boar, bear, and deer.